It’s alright. You’re not on the wrong blog. We’re not talking about a game of American Football or Basketball. We just can’t quite believe how fast the year is disappearing! It doesn’t feel long ago that we were giving you our “Summer Summary” update! Yet, here we are, temperatures rapidly dropping and not a million miles off hearing the first Christmas songs of the year! One thing’s for sure though; despite the cold weather our team of professional commercial window cleaners are as efficient and productive as ever. We’ve been working on a mixture of sites including window cleaning for office blocks and student accommodation. Having expanded our work in the Yorkshire region, we’ve also got a couple of really interesting new projects on the go. Our team has been hard at work in both Leeds and Sheffield, for example. 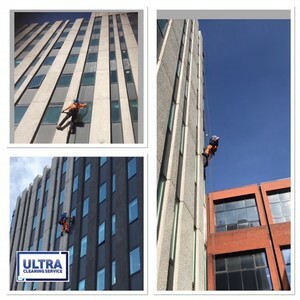 The work includes a brand-new rope access contract in Leeds and also 5 new sites in Sheffield; 3 reach and wash and 2 high-rise abseiling projects. Anyone who catches up with our blogs or social media shares will know that we’re passionate about developing our staff and improving the quality of our service. We’re delighted to be able to advise that another member of our team has passed his level 1, rope access, training course. He’ll be joining our abseiling team very soon. With us winning more and more high-level window cleaning jobs it’s great to see us being able to enhance the skills of the talent we already have. If you’re interested in learning more about Ultra Cleaning Service or want to join our growing team, feel free to drop our owner Julian Chadwick a message on LinkedIn. With bonfire night imminent, it’s safe to say we’re fast running out of year. 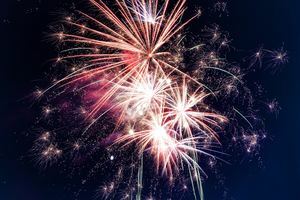 For anyone visiting any local exhibitions or just having some fireworks in the garden, everyone here at Ultra Cleaning Services hopes you have an enjoyable and safe evening. As the elements take their toll on buildings across the country, it’s going to be a busy end to 2019 for us. Until next time, we’d better get off and clean some more windows! As ever, thanks for reading. Click here for more information about our rope access window cleaning solutions.